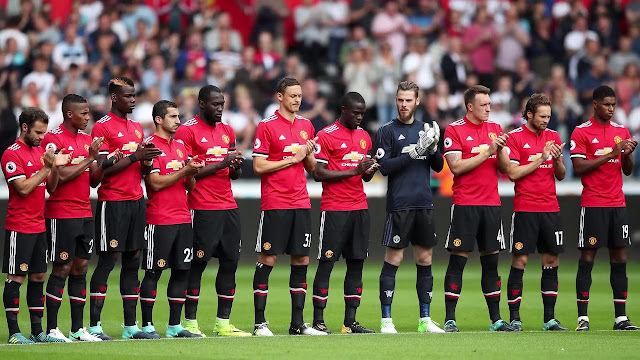 Manchester United players were given a bomb scare as they prepared for their Champions League clash with Sevilla. Jose Mourinho’s side face the Spaniard in their second round second leg at Old Trafford tonight. But the players were given a fright on Monday when their regular hotel – the Lowry where Mourinho lives – had to be cordoned off. The hotel was shut down and a bomb disposal team was deployed to attend to a suspected World World II explosive. However, after inspection, it was declared that the item was not a bomb and not dangerous. But it will still have made for an uneasy arrival at the hotel for the players and staff as Manchester United Prepare for one of their biggest games of the season. United are locked level with Sevilla thanks to David de Gea’s heroics in the away leg. United were poor and uninspiring going forward and had their keeper to thank for keeping them level. But since then Mourinho has masterminded wins over Chelsea and Liverpool and things are looking more hopeful. Paul Pogba appears to be back in contention after he was seen entering the hotel having missed the game against Liverpool. The France midfielder was among the group which included Alexis Sanchez, Jesse Lingard, Michael Carrick and Nemanja Vidic. Pogba has struggled for form since the turn of the year and the arrival of Sanchez, but will be keen to impress ahead of the summer’s World Cup. He has been in and out of the side in recent weeks with the emergence of Scott McTominay.